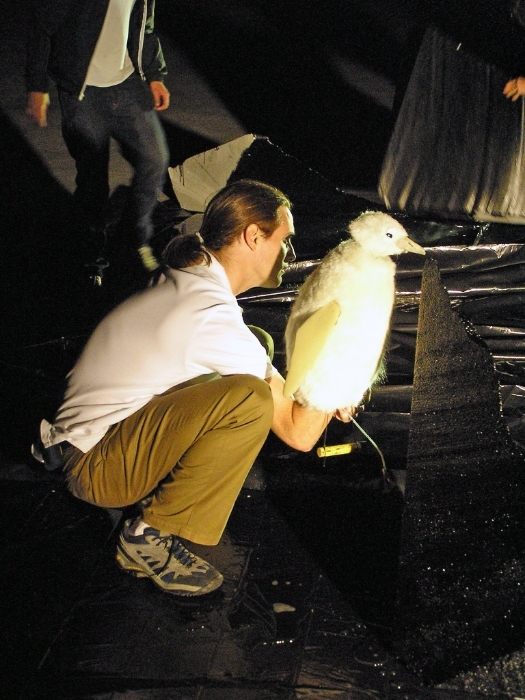 An albino Penguin hand puppet as well as an animatronic version were built for French Artist Pierre Huyghe's piece called A Journey That Wasn't. The piece tracks an elusive albino creature rumored to live on an uncharted polar island. 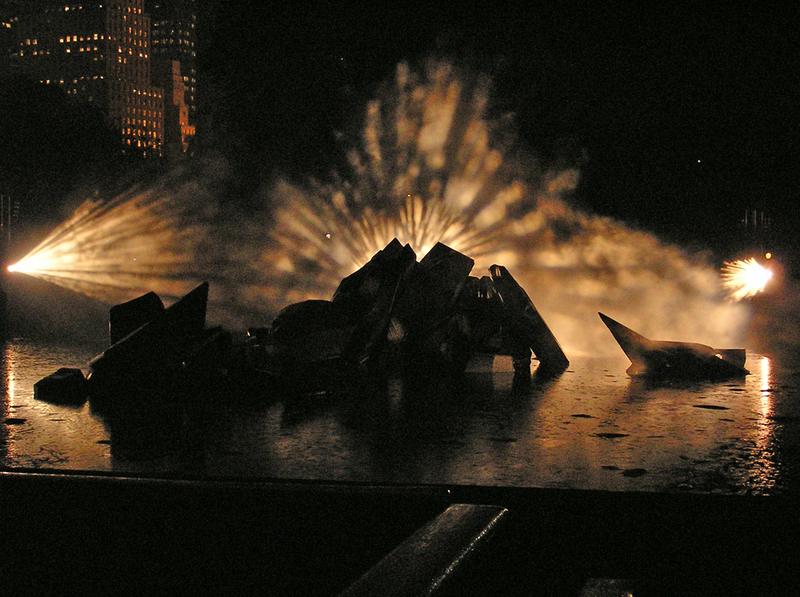 It was filmed on location in New York City's Central Park with on-set support and puppeteering by Puppet Heap. See a short compilation of his work including portions of this event here. Shooting on location in New York City's Central Park. Filming at night on location. Artist Mari Tobita sanding the body of the puppet Penguin. Artist Matthew Brooks casting Penguin feet. Paul Andrejco trimming the puppet penguin on set (above). Artist Pierre Huyghe (right) with an early prototype Penguin in rehearsal.